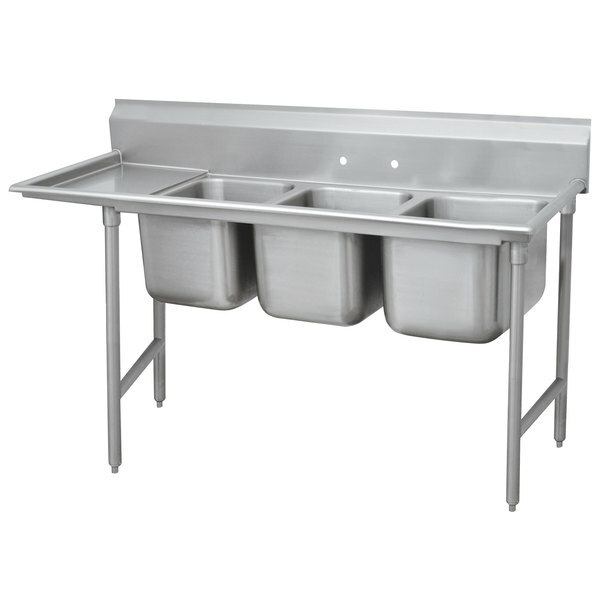 Left Drainboard Advance Tabco 9-63-54-18 Super Saver Three Compartment Pot Sink with One Drainboard - 83"
This Advance Tabco 9-63-54-18 Super Saver three compartment pot sink features one 18" drainboard, providing ample space to tackle any warewashing task in your commercial kitchen. It allows you to complete the entire dishwashing process--washing, rinsing, and sanitizing--in the same unit! 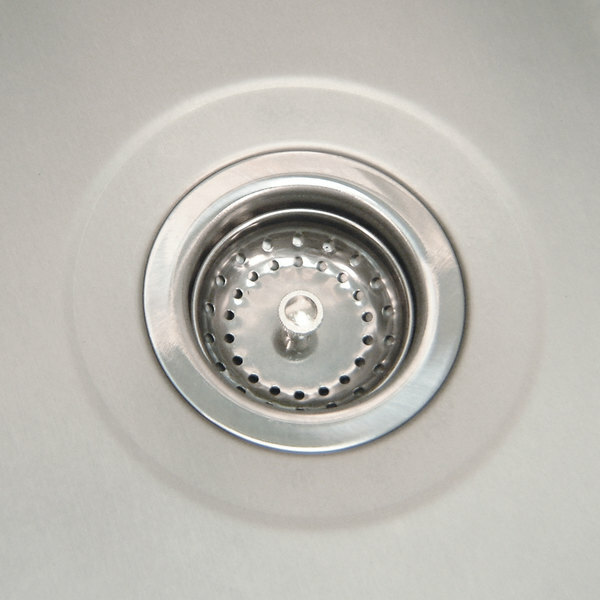 Made of 18 gauge 304 series stainless steel, the Advance Tabco 9-63-54-18 Super Saver three compartment pot sink with one drainboard is both durable and affordably priced. An 8" high backsplash with tiled edge enables simple installation, and two holes punched on 8" centers accommodate a faucet (sold separately). For added stability, the Advance Tabco Regaline 9-63-54-18 Super Saver three compartment pot sink stands on sturdy, 1 5/8" diameter stainless steel legs with matching, adjustable bullet feet. 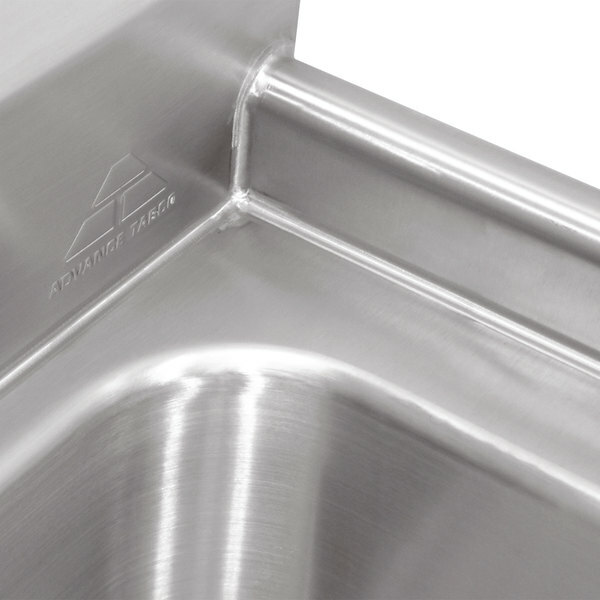 Advance Tabco 9-63-54-18 Super Saver Three Compartment Pot Sink with One Drainboard - 83"
Advance Tabco FE-3-1812-24RL Three Compartment Stainless Steel Commercial Sink with Two Drainboards - 102"
Advance Tabco 9-43-72 Super Saver Three Compartment Pot Sink - 86"
Advance Tabco K7-3-2430-24RL 16 Gauge Three Compartment Stainless Steel Super Size Sink with Two Drainboards - 120"